MARVY UCHIDA-Embossing Heat Tool W/Stand. 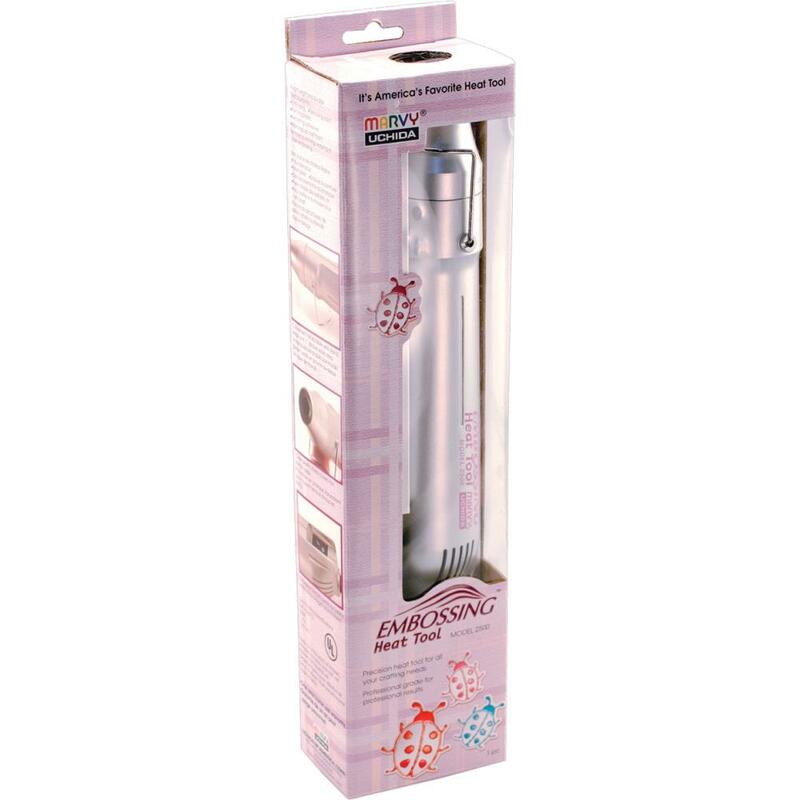 This embossing heat tool melts embossing powder to create a raised shiny embossed impression. Use wet looks embossing markers with clear embossing powder for a wonderful 3D effect on almost any surface and is also great for puffing-up liquid applique, warming-up craft foam, removing paint and re-melting adhesives. 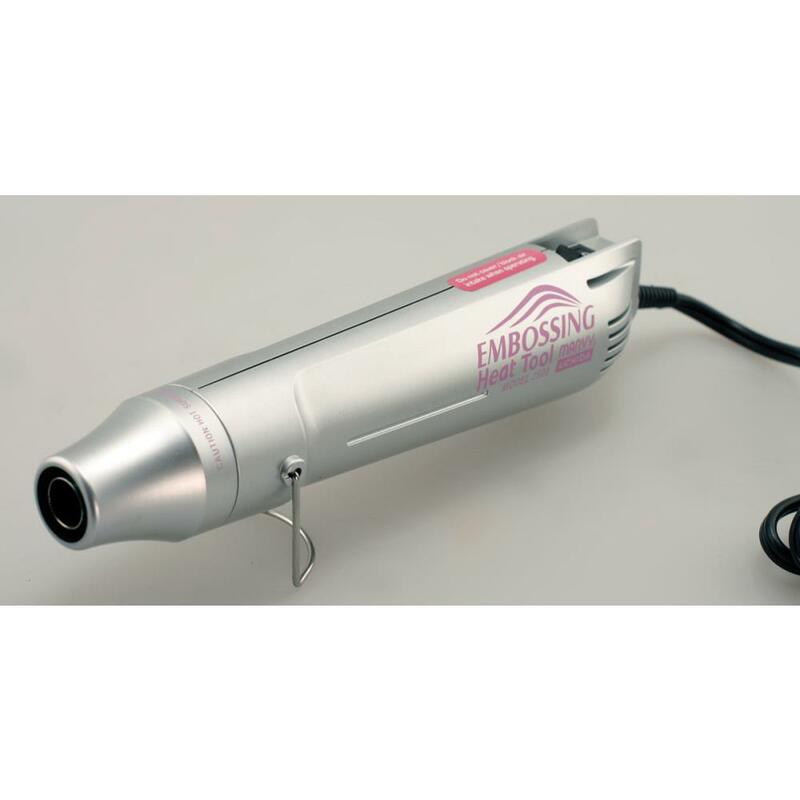 Tool features a clear plastic shield that covers the hot metal nozzle, a recessed on/off switch for safety. Specifications: reaches temperatures of 680F/360C, 360W, 3A and 120 VAC. UL approved. Tool measures 8x2in with a standard 6ft cord.